New Zealand head coach Steve Hansen has named four uncapped players in the squad for the third and final Test against France to be played in Dunedin on Thursday. Highlanders flanker Shannon Frizell and Crusaders centre Jack Goodhue are drafted into the XV as Hansen has made a total of 11 changes to the squad that played at Westpac Stadium last weekend. 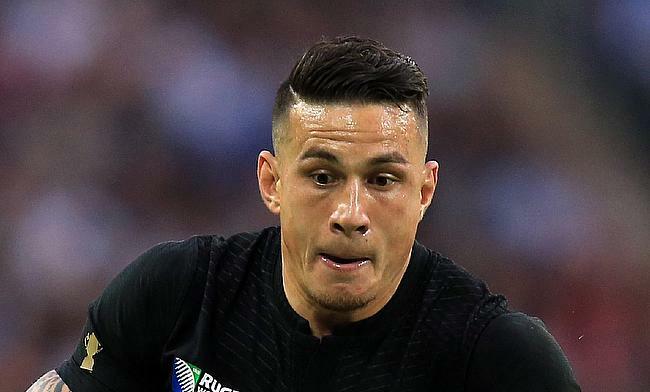 Sonny Bill Williams is on the midfield after recovering from a knee injury while Beauden Barrett, who is ruled out of the game with an injury has been replaced at fly-half by Damian McKenzie. The other two debutants Jackson Hemopo and Richie Mo'unga are named on the bench while Sam Whitelock has been named as the captain once again. Ardie Savea and Frizell have been drafted into the back-row, while Ben Smith is shifted to full-back to accommodate Waisake Naholo's inclusion on the right wing. “One of the aims of the Steinlager Series was to continue to build depth across our squad and give players opportunities. Now that we have secured the Dave Gallaher trophy and won the Series, we think this is the right time to do that,” said head coach Steve Hansen. “It’s an exciting mix of players with big-match experience, newer All Blacks who are continuing to grow their game, and four players who have been named in the Test 23 for the first time. On behalf of the All Blacks, I want to congratulate Shannon, Jackson, Jack and Richie, on their selection in the Test side. The All Blacks were also handed a boost as captain Kieran Read is close to a return. Read has not played since surgery to correct a bulging disc that was causing leg pain and Hansen had said earlier there was no rush in bringing him back until he was fully fit. New Zealand have already completed the series victory following their wins in the first two games. FANTASTIC FOUR |Congratulations to Richie Mo’unga, Jack Goodhue, Shannon Frizell and Jackson Hemopo who are all set to make their Test debuts in the final Test of the #SteinlagerSeries against France.